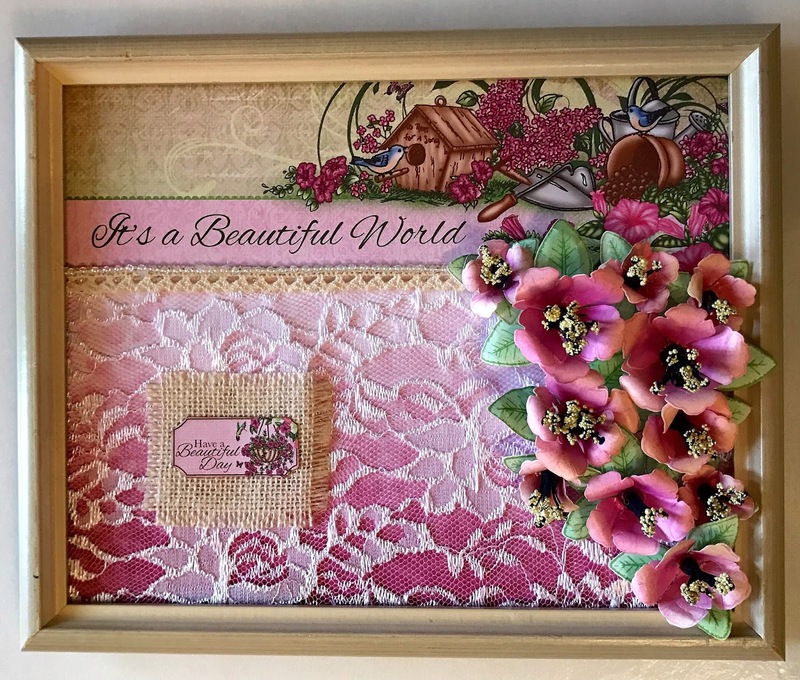 I made this lovely piece of floral home décor using the Heartfelt Creations Classic Petunia Collection. I have decided that the flowers which I made from white paper resemble the Camellia Sasanqua flower because of the full stamen that were shaped from navy blue cardstock and sprinkled with prills. I did upcycle the frame which I found at a rummage sale several years ago and the lace fabric used to enhance the pretty backing paper was taken from a curtain that was no longer being used. The trim and burlap were scraps from my stash. This beautiful project was extremely economical. It did require an investment of time, patience, and the appropriate tools. 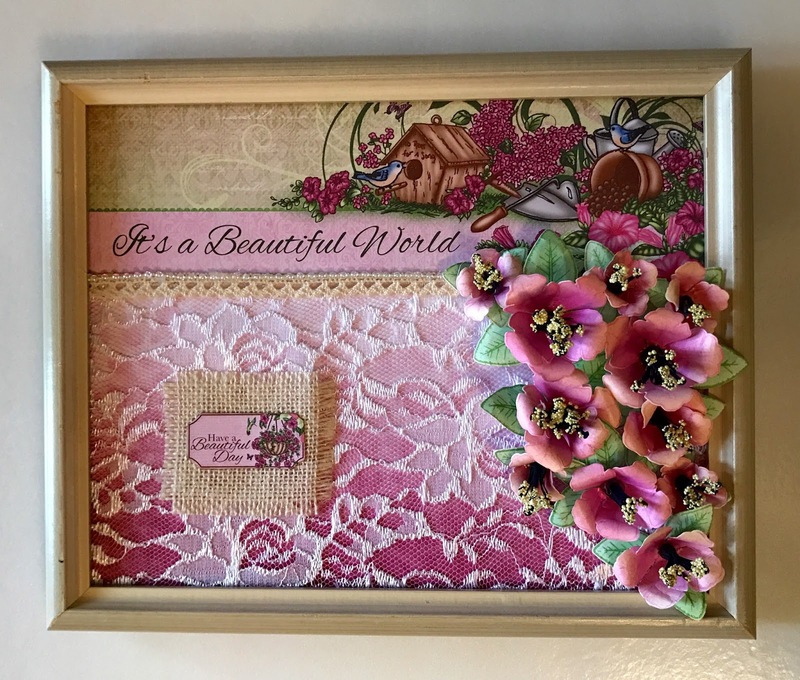 Have you ever made something old beautiful? Let me know in the comments below.